The recorded sound we’re getting in Credential Sound is pleasing. Also the fact it’s inspiring the writing of new stuff is always great. 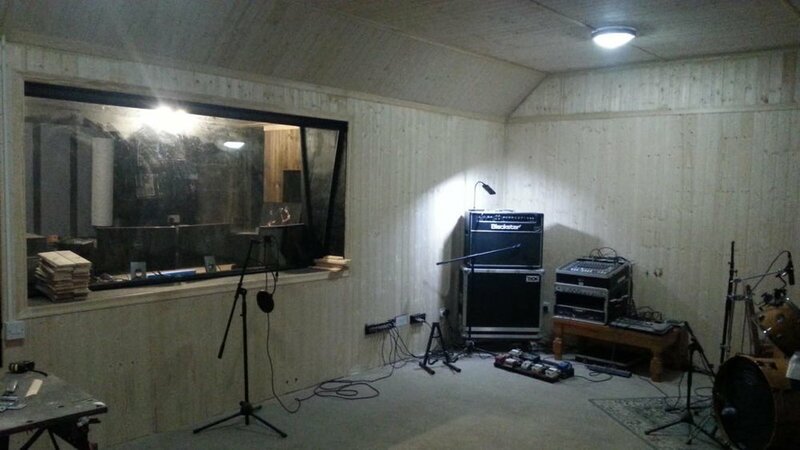 I wanna have a flavour of the new studio on every track on the next album if possible. There was some other material recorded before Credential Sound was built, so I guess we might release one of those as a single before the next album is ready, so there’s something new out while you’re waiting. Then the plan is to start fresh on the third album with only stuff that was recorded @ Credential Sound. We’re pretty active on Instagram @unquietnights these days, so if you wanna ask anything there we usually see it and respond. Planning to keep it updated about the recording of the new material and whatever else…. Sometimes weird alcoholic drinks we’ve found, new equipment, photo throwbacks, merch, etc….